Women in Colour: Anna Atkins, Colour Photography and Those Struck by Light, a group exhibition of colour photography based on original research by Ellen Carey, associate professor of photography, opens at Galerie Miranda in Paris on April 26 and remains on view through June 15. 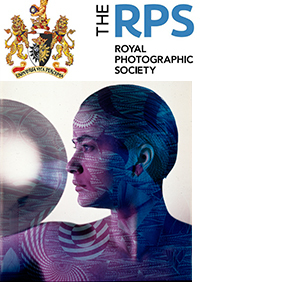 The show presents Ellen Carey's original research on the contributions of women photographers in color, starting with Victorian Anna Atkins (1799-1871, England), who is also a pioneer in color photography. Thousands of nominations, 1,300 nominees, and ten weeks of deliberation, the jury has reached its decision and, on the centenary anniversary of women’s suffrage in the UK, is delighted to announce the names of its Hundred Heroines. It has been a hugely challenging exercise given the breadth and depth of talent, and variety of practice, amongst the nominees. On assiste au retour de l’expérimentation chimique, afin de produire non pas des images (des reproductions du réel), mais des motifs totalement abstraits. L’Américaine Ellen Carey est une experte en la matière avec ses Zerogram. La couleur seule est son sujet. Dans la chambre noire, elle plie, froisse le papier photo couleur. Parfois, l'ombre se glisse dans un pli et alors l'immatérialité colorée de la lumière se révèle sur de petits rectangles de papier comme autant d'arcs-en-ciel explosés. Une artiste à découvrir dans cette sympathique galerie-librairie (pointue et réservée à la photographie) de la rue du Château-d'Eau. Numbered limited edition of only 200 copies offers a rare chance to own a one-of-a-kind photographic print by Ellen Carey. Each copy contains a distinctive print, making this an unparalleled chance to add to your art collection. The publication and print are presented in an elegant photo box, highlighting the singular nature of this exceptional publication. Order today to ensure your chance to own this historic publication. Limited quantities are available! N MAGAZINE: What inspired you to start practicing with lens-based art and photograms? The Photography Show is presenting this year at AIPAD's new location on Pier 24 in NYC and features the work of Ellen Carey, associate professor of photography, in the JHB Gallery at Booth #404 from March 30th-April 2nd. This international photography art fair highlights several hundred photographers and artists from over 100 galleries world-wide with programming and lectures, book signings and special events. n e w f l e s h artist Ellen Carey and DEAR DAVE, Editor-In-Chief Stephen Frailey sat down to discuss fine art photography, practices, and queerness. The British photographer Richard Caldicott, best known for his work with abstraction, has rounded up works by six like-minded contemporaries, half of them newcomers. The show borrows its title from a series by Luuk de Haan, ghostly black-and-white pictures of biomorphic white forms, which, like most images here, hover somewhere between present and vanishing. Erin O’Keefe makes constructions of translucent Plexiglas panels, which dissolve into layers of color and light in her photographs. Dizzyingly intricate patterns appear in the work of both Ellen Carey and Gottfried Jager, balancing pleasure and rigor. Caldicott’s curatorial coup is his focus on modest-sized works, a welcome antidote to the recent glut of supersized abstract photography. Lives of the Most Excellent Artists, Curators, Architects, Critics and more, like Vasari's book updated. The Art World Demystified, Hosted by Brained Carey. 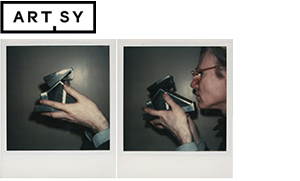 The Los Angeles based gallery M+B presents Ellen Carey: Polaroid 20 x 24 Self-Portraits. This show is the artist’s first exhibition with the gallery and her solo debut in Los Angeles. Ellen Carey (b. 1952) is one of the country’s foremost experimental photographers. Her pioneering work with the large-format Polaroid 20 x 24 camera spans several decades and anticipated major themes in contemporary photography. Carey began working with the camera in New York in 1983, starting with her Self-Portrait series. Her experimentation with abstraction in these images was a precursor to her later, purely abstract Pulls. Filled with images from a trove of artists from Ansel Adams to Andy Warhol, this is the first volume to explore the Polaroid camera's indelible influence on the history of photography. Artist statements from Ellen Carey, Chuck Close, Philip-Lorca diCorcia, Bryan Graf, Miranda Lichtenstein, David Levinthal, Joy Neimanas, Lisa Oppenheim, Catherine Opie, John Reuter, William Wegman, and James Welling reveal how Polaroids affected and, in many instances, forever changed the way they captured the world around them. From the beginning, abstraction has been intrinsic to photography, and its persistent popularity reveals much about the medium. Now available in an affordable paperback edition, The Edge of Vision: The Rise of Abstraction in Photography is the first book in English to document this phenomenon and to put it into historical context, while also examining the diverse approaches thriving within contemporary photography. In existence for over 50 years, the Polaroid Corporation’s photography collection is the greatest collection of Polaroid images in the world. Begun by Polaroid founder Edwin Land and photographer Ansel Adams, the collection now includes images by hundreds of photographers throughout the world and contains important pieces by artists such as David Hockney, Helmut Newton, Jeanloup Sieff, and Robert Rauschenberg.